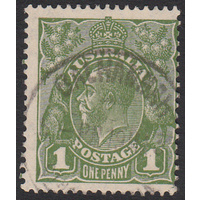 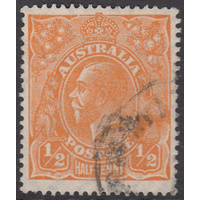 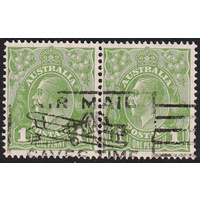 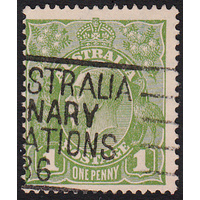 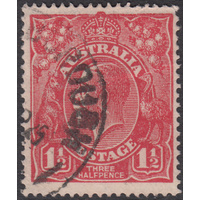 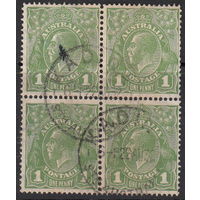 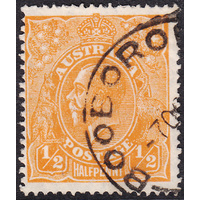 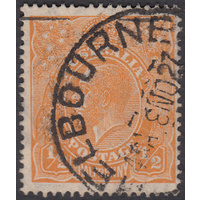 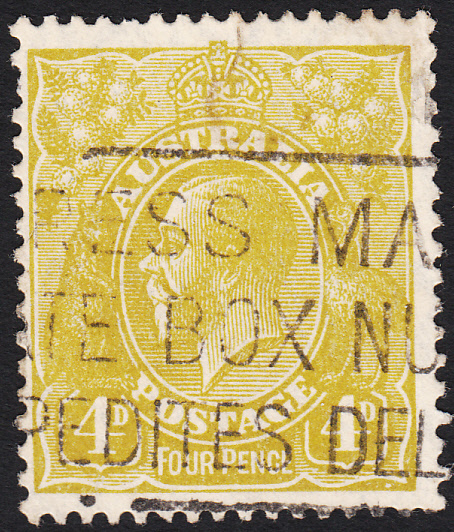 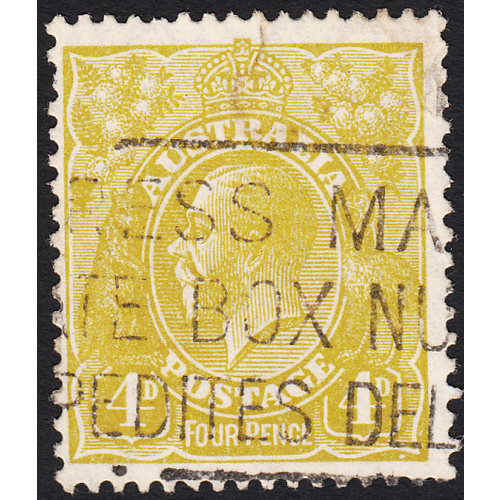 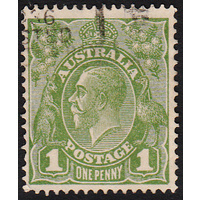 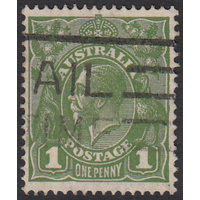 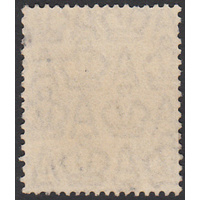 Australia KGV 1929, 4d Olive, Small Multiple Watermark, perforation 12.5 X 13.5, variety 4R60 (Distorted bottom right corner with spot in bottom frame 1.5mm from bottom right corner, variable white flaw in right frame at bottom right corner, and slight bulge in right frame at bottom right corner) in Good Used condition with a couple of nibbled perforations at top. 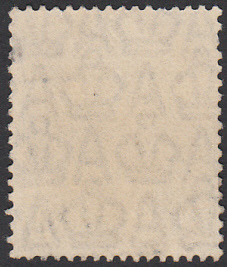 Centered left with a slogan cancellation clear of most of the variety. 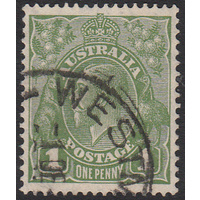 BW 116(4)o.